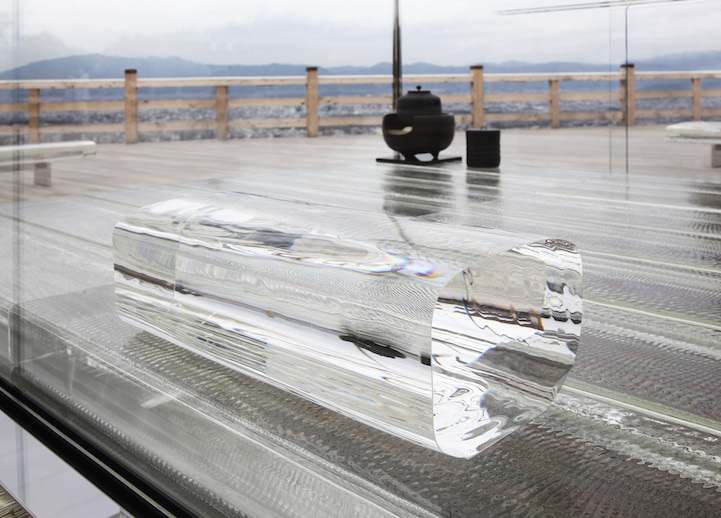 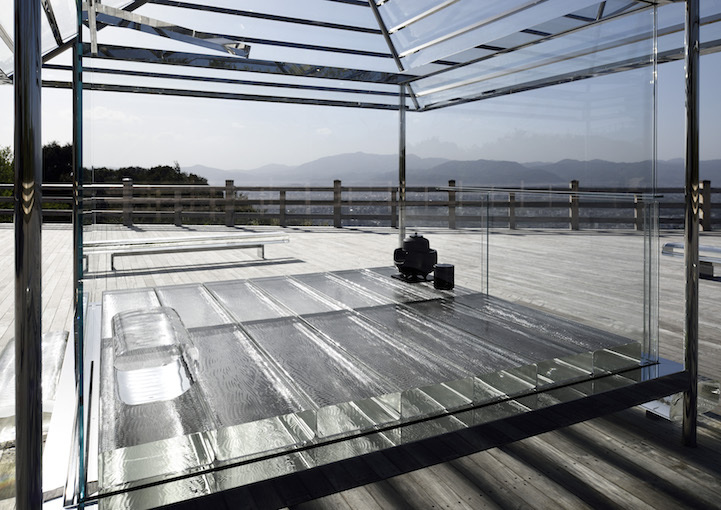 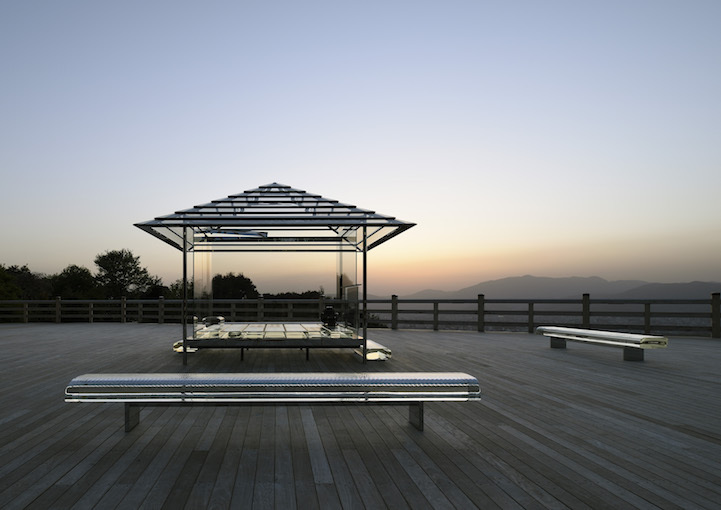 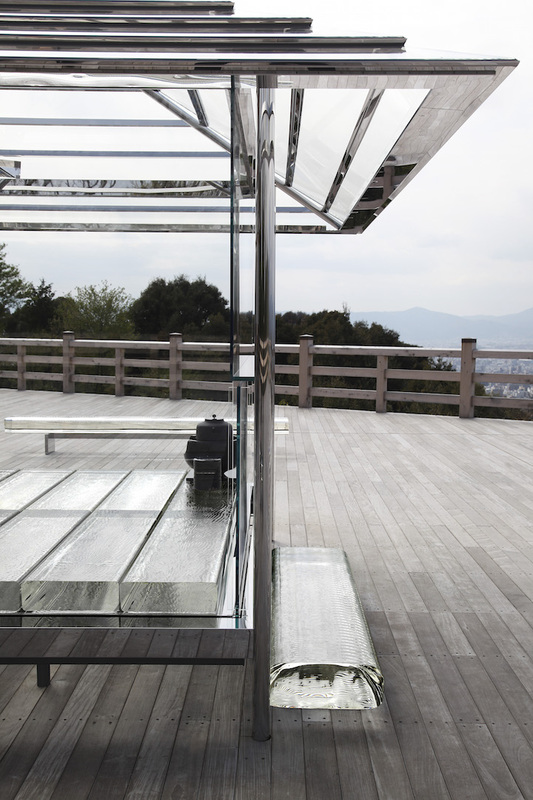 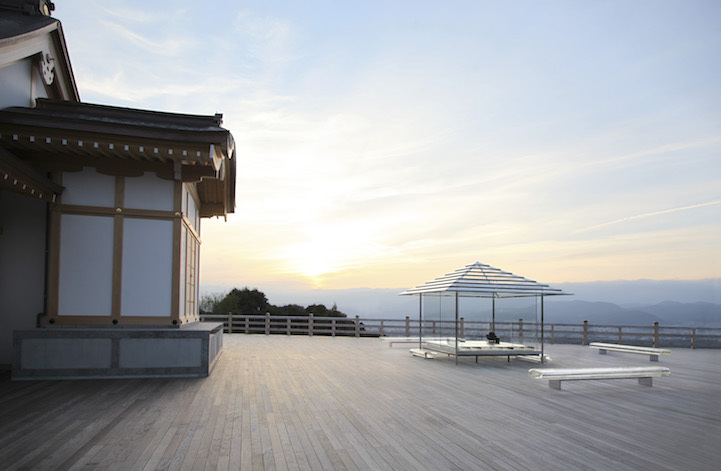 KOU-AN by Tokujin Yoshioka has been installed in the mountainside of Kyoto, Japan, at Seiryuden (Blue Dragon Hall), home of the Shorenin Temple. 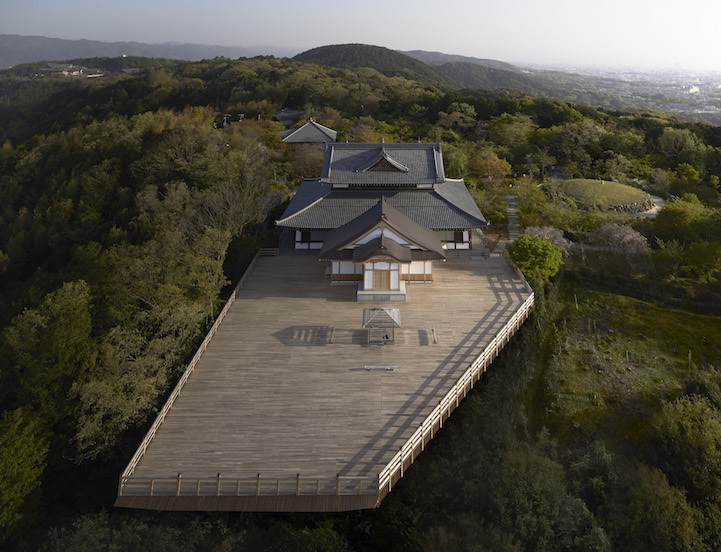 Located on Shogunzuka Hill, Seiryuden is a popular observation spot offering incredible views of the cityscape of Kyoto. 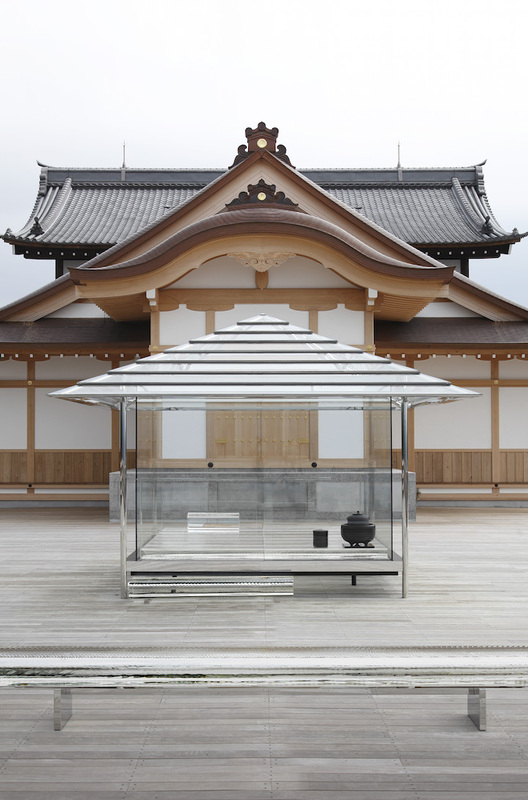 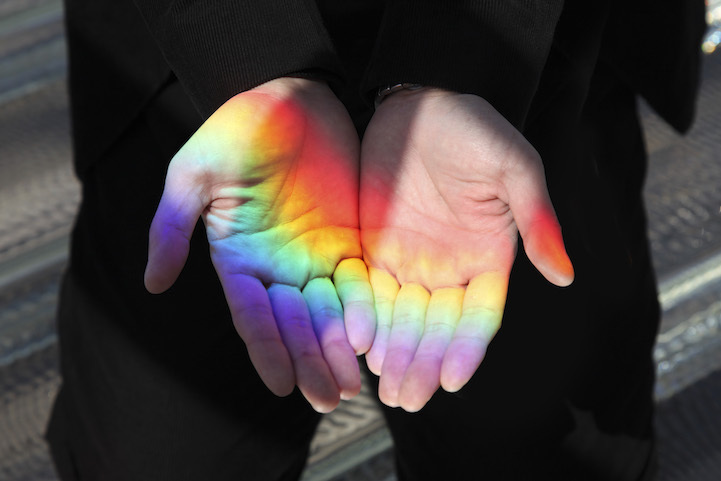 The installation, which debuted on April 9th, will remain at Seiryuden until April 2016. 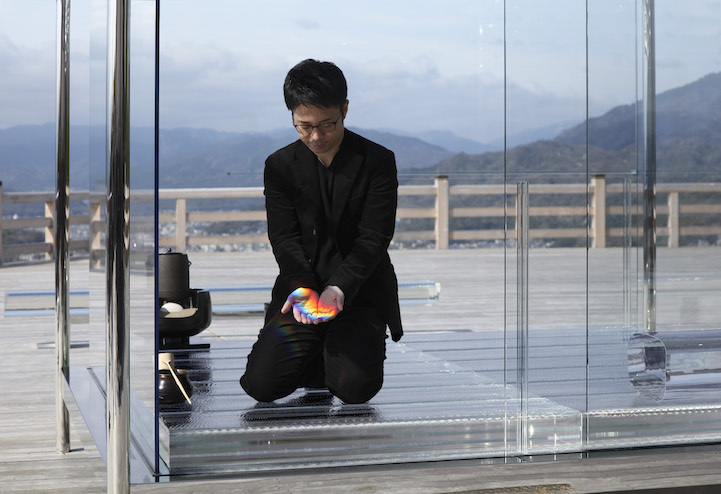 KOU-AN does not have a scroll or flowers which are provided in traditional tea houses, but nature is present throughout albeit through “a sparkling on the floor that reminds us of a ripple of water” or a rainbow of light that appears by the sunlight coming in from the ceiling hitting the prism glass which is placed on the roof.